Earn $0.75 in Rewards credit. Click to learn more. 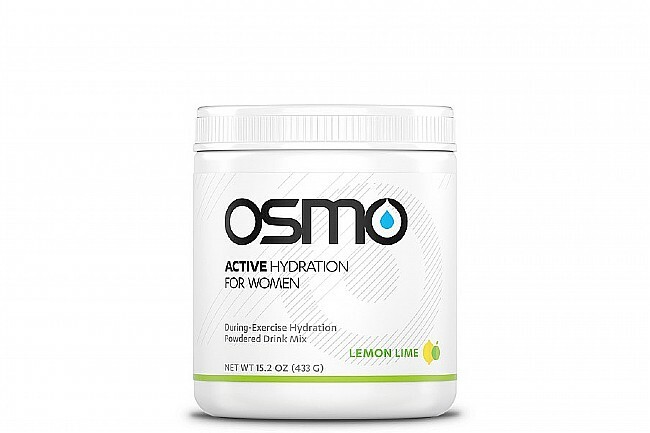 Osmo Women's Active Hydration is scientifically formulated to optimize hydration on the bike in order to delay fatigue, boost endurance, maximize cardiovascular efficiency, and reduce cramping. Using peer-reviewed research to design a proprietary sucrose / glucose ratio balanced with sodium citrate and other electrolytes, this powder helps counter the negative hormonal changes that occur during the menstrual cycle in order to maximize fluid absorption so the body's systems can perform at their highest, especially in hot weather or during high intensity efforts. The mango is light in taste and easy on the stomach. I added an extra scope of powder to give it a little more flavor. After a long ride in the sun and heat I felt adequately hydrated.